Nancy Reagan, like every First Lady since Edith Wilson, was honorary President of the Girl Scouts of the USA. However, her pinning ceremony was delayed by the assassination attempt on her husband. Newly invested as National Honorary President, First Lady Nancy Reagan receives a bouquet from Brownie Rhonda Johnson on May 15, 1981. When is a badge not a badge? When it’s a Try-It, an IP, IPA, or IPP. 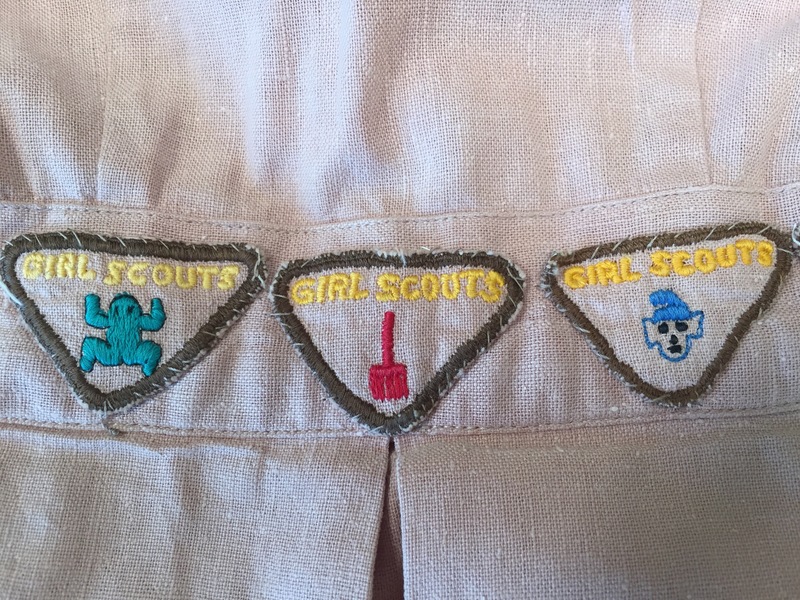 For decades, a Girl Scout badge was just a badge, but starting in 1980, GSUSA got creative…and confusing. 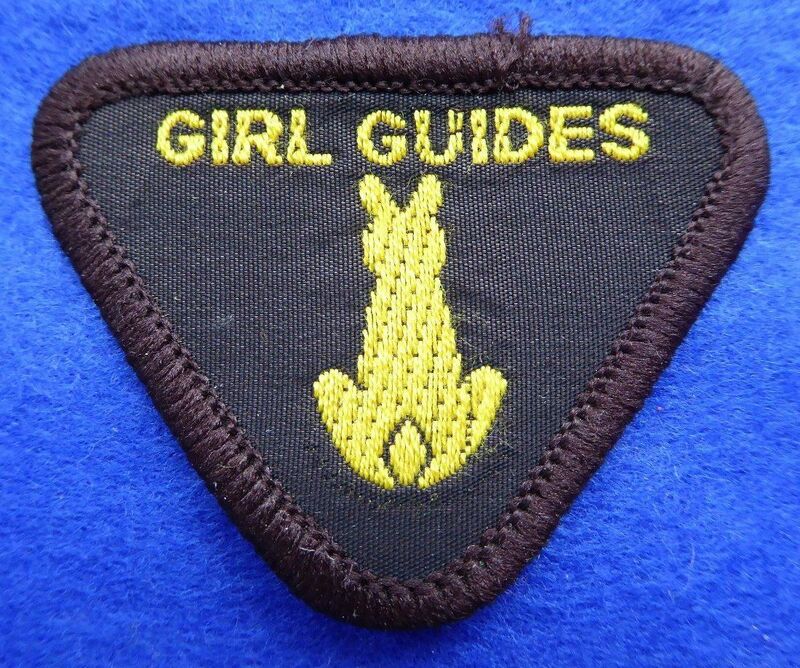 While Girl Scouts have always earned badges, from 1980 to 2011 the term “badge” was reserved for just the Junior program. 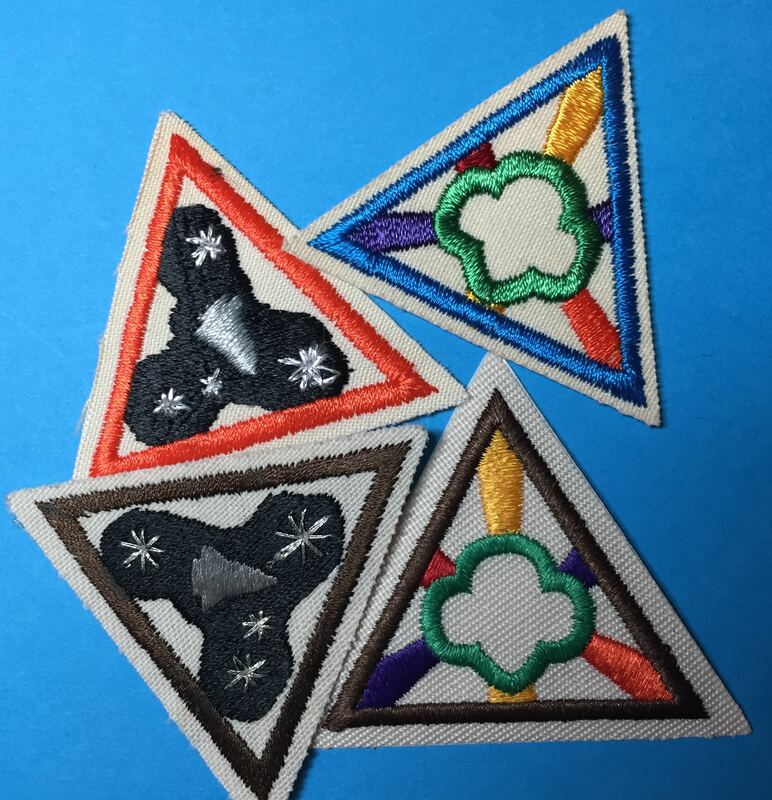 With the roll-out of the Worlds to Explore program in 1980, Cadettes and Seniors now earned rectangular Interest Project Patches (IPPs). The 1979 Let’s Make It Happen handbook had already given a preview of the IP program with 22 available. The 1983 Supplement to Let’s Make it Happen added 10 more IPs, followed by another 29 in the 1987 book, Cadette and Senior Interest Projects. Food Raiser (1980-1991), Communication Arts (1980-1991), Photography (1990-2001), and Food, Fibers, and Farming (1990-2001). 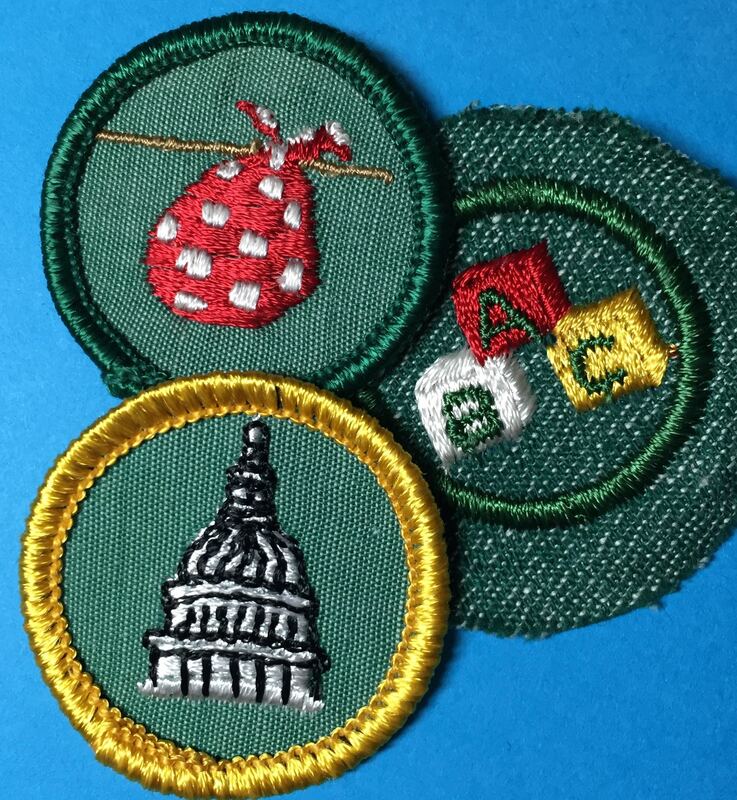 Seventy-six Junior badges in the Worlds format were introduced in the 1980 book, Girl Scout Badges and Signs. 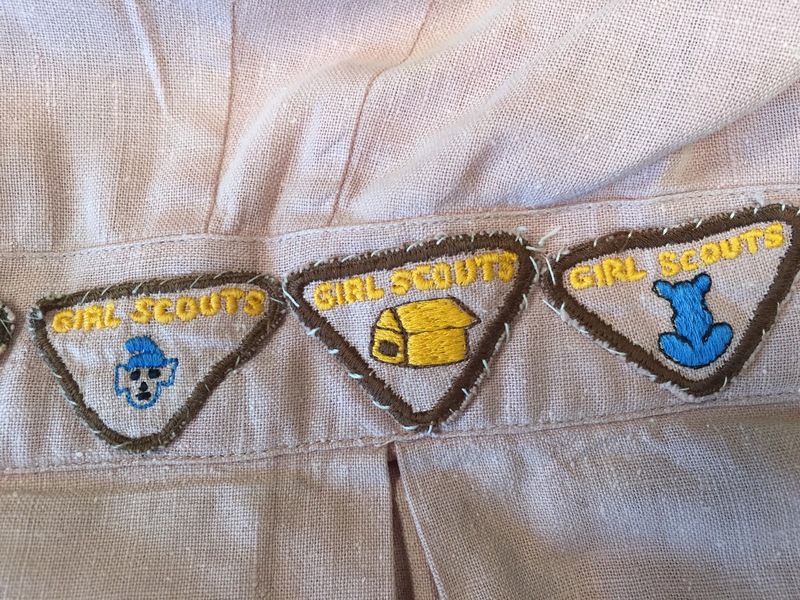 Aside from the much more colorful images and edges, many of the designs were familiar, little changed from the Junior badges introduced in 1963. 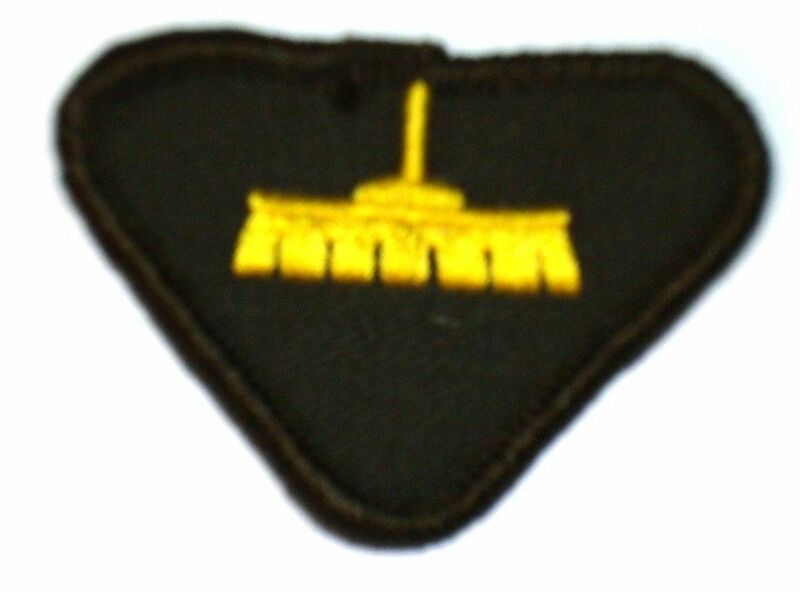 Some Junior badges had tan backgrounds; these were more “advanced” and could be earned by younger Cadettes. 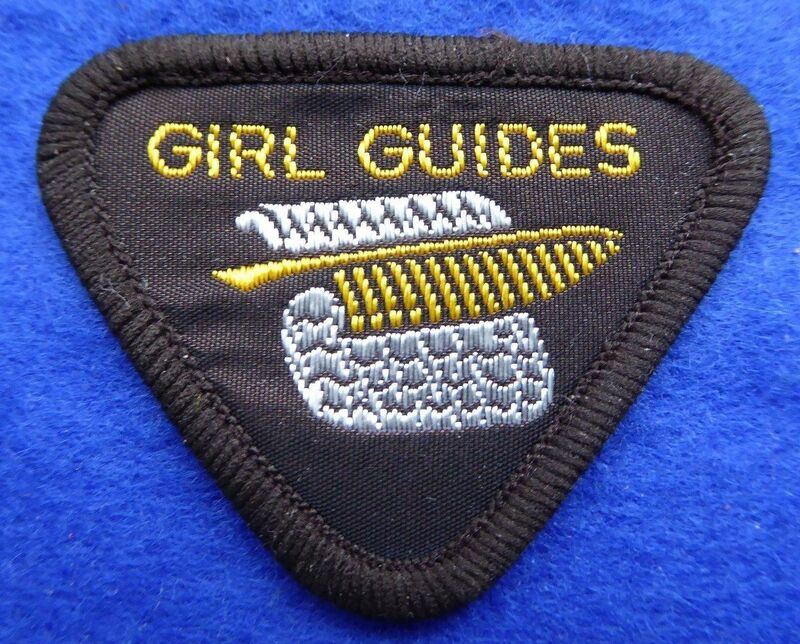 Nine group-oriented badges were included in the 1986 Junior Girl Scout Handbook; known as “handbook badges,” these had dark blue borders and white backgrounds. 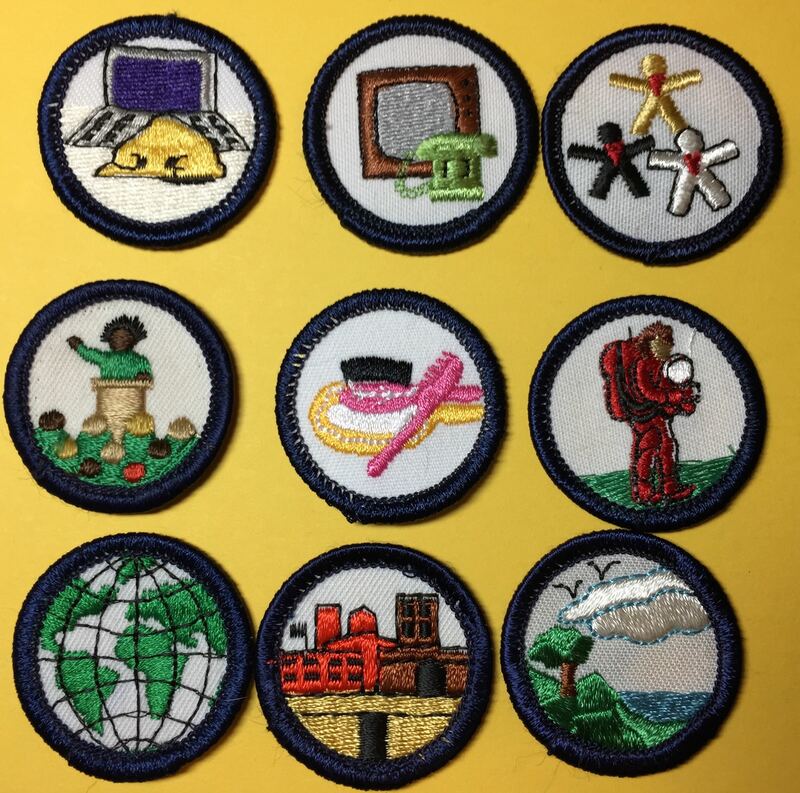 Nine “handbook badges” introduced in 1986. 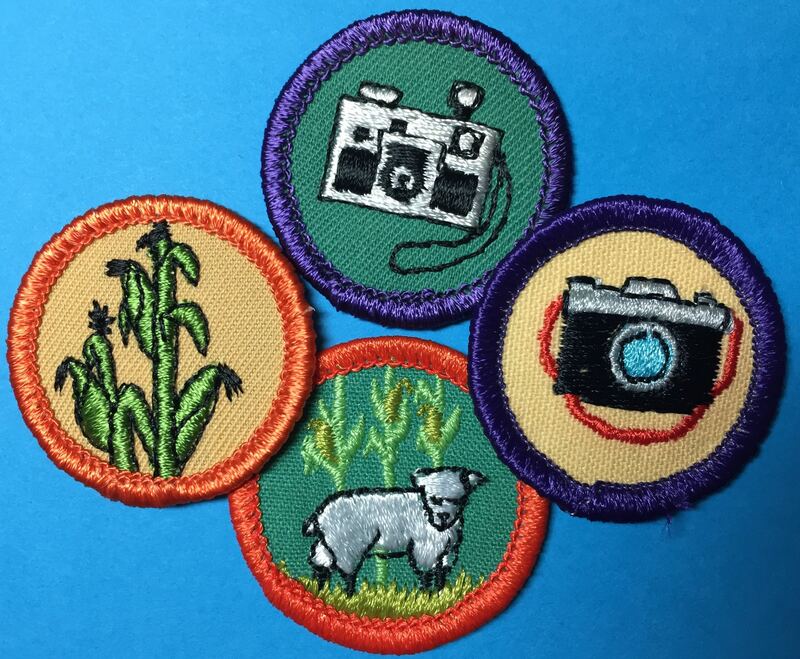 Juniors, Cadettes, and Seniors had the option to earn a “Dabbler” badge in each world that sampled activities from several awards in that category. These Dabbler badges/IPs featured the logo of each world. 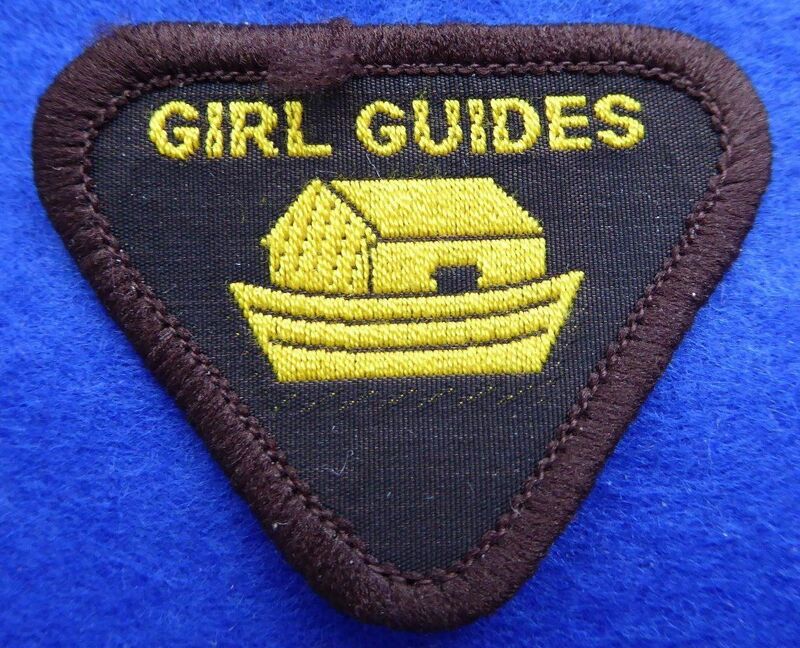 A Brownie preparing to bridge to Juniors could also work toward a Dabbler badge. 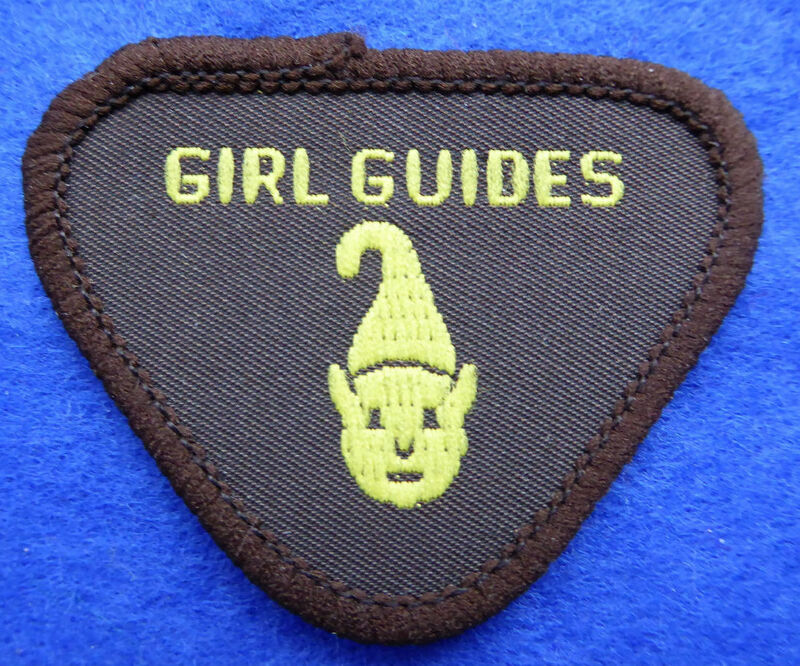 Try-Its, the first national program for Brownies, were introduced in 1986. Each Try-It had six activities; girls had to “try” at least four of them to earn the recognition. The program was an immediate hit and quickly grew beyond the original 15. The first Try-Its were part of the Worlds to Explore era and had colored borders, but they did not have Dabblers. 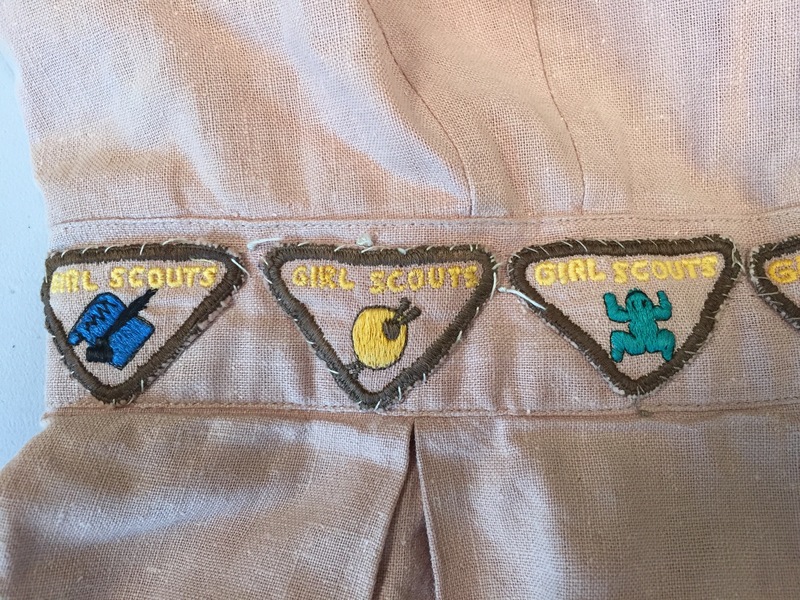 Space Explorer (1989-1999 orange; 1999-2011 brown) and Girl Scout Ways (1986-1998 blue; 1999-2011 brown). As the Worlds to Explore program phased out in the late 1990s, IPs became formally Interest Project Awards (IPAs) but the old abbreviation stuck. 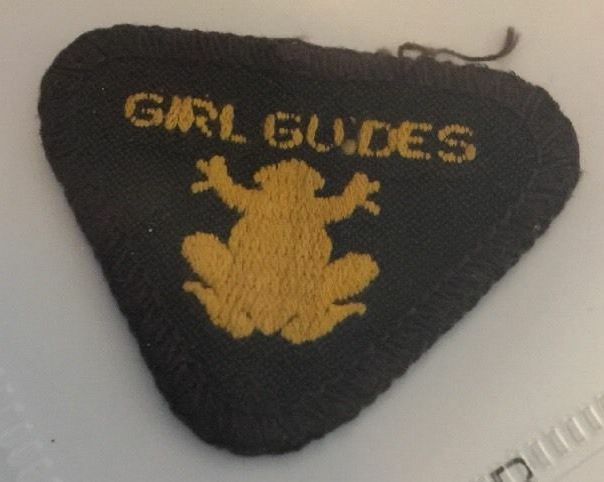 IPs switched to royal blue borders in the 1997 Interest Projects for Girls 11-17. Some old IPs were given new names or revised designs at the time, while 38 new IPs were added and the Dabblers dropped. Try-Its switched to brown borders in 1999. In a moment of apparent insanity, GSUSA introduced a whole new program for Cadettes and Seniors in 2002. 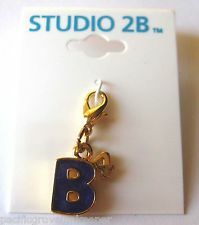 With Studio 2B, badges were out and girls earned charms for bracelets. That whole story will have to wait for another post.